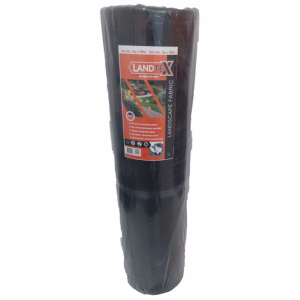 Our Landtex professional landscape fabric is a thicker alternative to weed control fabric, providing heavy duty weed control in most types of landscape projects. Landtex is an eco-friendly weed control solution as it effectively suppresses weeds, eliminating the need to use chemicals. Landtex allows nutrients (including liquid feed and fertilisers), water and air to permeate creating a healthy and fertile soil, whilst preventing weeds getting the light they need to grow.